Can One Teaspoon of Baking Soda in Water Increase the Salt Level in My Blood? Can one teaspoon of bicarbonated soda in water increase the salt level in my blood? Hi Lynn. Thank you for your question regarding baking soda and salt levels in the blood. If you are taking one teaspoon of baking soda per day then, yes, theoretically, your blood salt level can go up. This usually happens over a period of several days or even weeks. Your blood salt level will only increase, however, if you are getting too much sodium or too little from your diet. The USDA minimum daily requirement for sodium is between 1,100 mg's and 3,300 mg's. 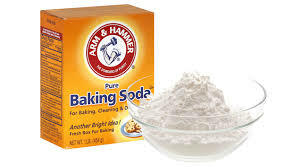 One teaspoon of baking soda contains approximately 821-980 mg's of sodium (normal table salt contains 2,350 mg's!). So having one teaspoon (and more) of baking soda per day is certainly okay as long as the rest of your diet is low in salt. And this is the big one because most peoples diets are exceedingly high in salt. In fact, the average adult consumes around 10,000 mg's of salt per day. The problem is salt is added to just about every processed and packaged food and this is mainly where our excess sodium intake comes from. So the short answer is that yes bicarb of soda can increase salt levels in the blood. This is why it's wise for anyone who decides to take baking soda for cancer or kidney disease also go on a low sodium diet as well. Hope this helps you Lynn. Comments for Can One Teaspoon of Baking Soda in Water Increase the Salt Level in My Blood? Sodium and salt are different and the ignorance of this fact causes death. Sodium is sodium, and salt is sodium chloride. It has the chloride molecule, which is virtually impossible for the body to separate and digest. This starves the body for real sodium that is crucial for all bodily functions! Sodium in its pure form is derived from the eating of plants that have already separated the chloride from the sodium, making it harmless. Salt is salt period!!!! Don't be fooled. Go easy on the sodium. C'mon Matt. All salts are not the same. There are definitely good salts and bad salts. Regular table salt is extremely bad for you while Himalayan Chrystal salt is incredibly good. This article by Dr Joseph Mercola on salt might rattle a few cages within the medical community, but he's right on the money... Add Salt to Your Food Daily - Despite What Your Doctor Says. Pink Himalayan salt does have lead, 10 times more lead than the alert in the Flint Michigan Drinking Water Alert. Pink Himalayan salt has good and bad minerals, so understand that too much is bad for your health. Use low salt diets and eat more fresh organic foods for good health. This article seems to be using "salt" & "sodium" interchangeably, causing confusion - sodium bicarbonate does not contain salt, but yes, it obviously contains sodium. One would not sprinkle vinegar & sodium bicarbonate on their food at the table for example, that would obviously be salt (which kind of salt is a separate matter again).